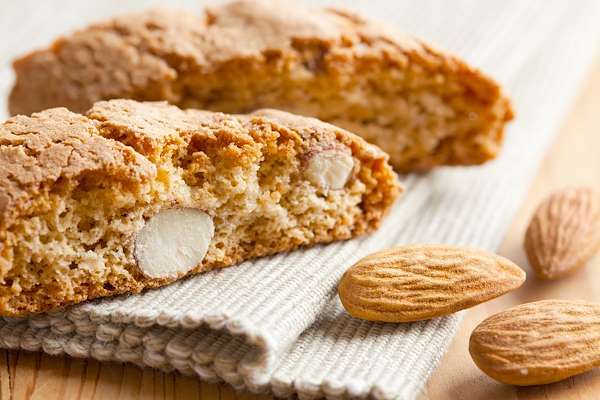 RecipeSavants.com Bring the mesmerizing aromas & flavors of your local coffee house into your kitchen with these classic Italian biscotti! 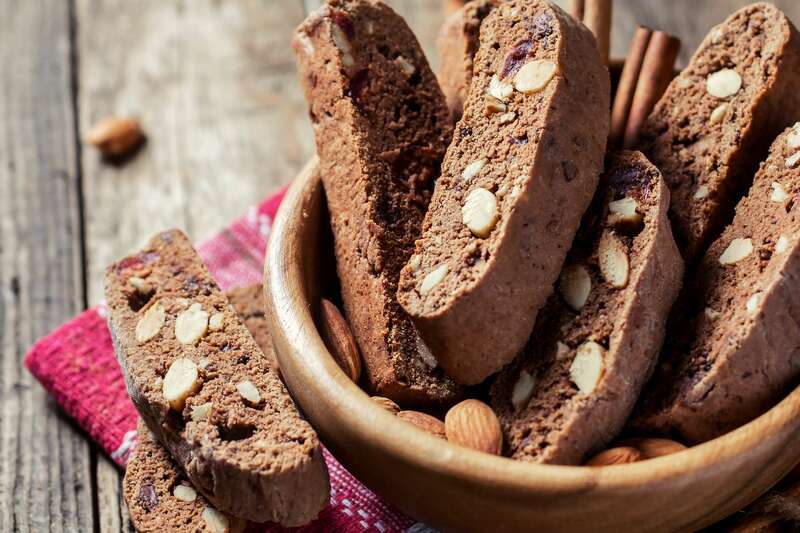 With just a few essential pantry staples, almonds and a double dose of chocolaty goodness, you will have a batch of crispy biscotti for dipping into coffee, tea or a cold glass of milk. Smart Recipes, European Recipes, Nuts Recipes, Recipes Nuts European Chocolate Biscotti PT1H10M Serves 12 Ingredients: 2 Cups All-Purpose Flour 0.5 Cup Dark Cocoa 1 Teaspoon Baking Soda 0.75 Teaspoon Salt 0.5 Cup Unsalted Butter 1 Cup Granulated Sugar 2 Large Eggs 2 Teaspoons Pure Vanilla Extract 1 Cup Semi-Sweet Chocolate Chips 1 Cup Sliced Almonds Preheat the oven to 350 degrees and line a sheet pan with parchment paper. Set pan aside. In a medium bowl, add flour, cocoa, baking soda, and salt and whisk to combine. In a stand mixer on medium-high speed, cream the butter & sugar until airy and fluffy, 1-2 minutes. With a spatula, scrape down the sides of the bowl and add beat in the eggs one at a time while scraping down the bowl after each addition. Add the vanilla and beat until combined. Turn the mixer to low speed and add the flour mixture, chocolate chips, and almonds. Mix until just combined. On a lightly floured work surface, scrape the dough out and top with a little flour. Shape dough into a ball and cut into even halves. Roll each half into a log about 2 inches wide by 3/4 inches high. Transfer the dough logs on to a prepared sheet pan with enough space between them to spread a bit. Bake until firm to the touch, for about 30-35 minutes. Allow the logs to cool in the pan until just cool enough to touch, about 5 minutes. 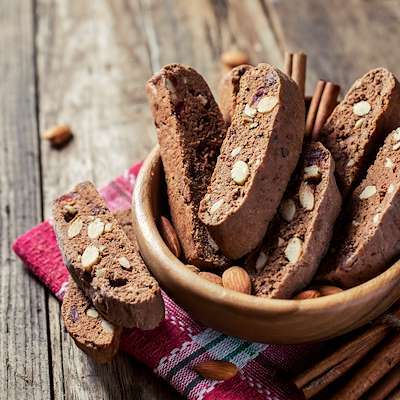 With a sharp knife, cut them on diagonal into 3/4- inch biscotti. Turn them on their sides with the cut side facing down and bake until crisp, 8-10 more minutes. Allow to cool 5-10 minutes in the pan, then transfer to a wire rack to cool completely. 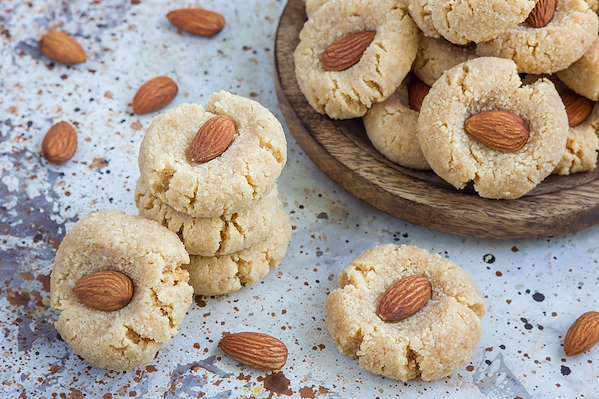 There’s no need to wait for a special event to enjoy crisp sugar cookies in festive shapes. 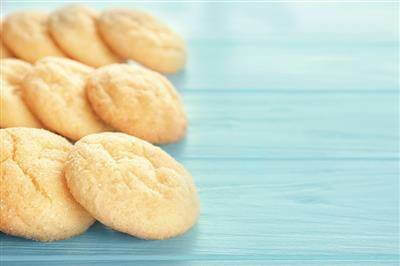 Roll the dough thinly to make crisp cookies or roll out about 1/4-inch thick to make melt-in-your-mouth fluffy cookies. 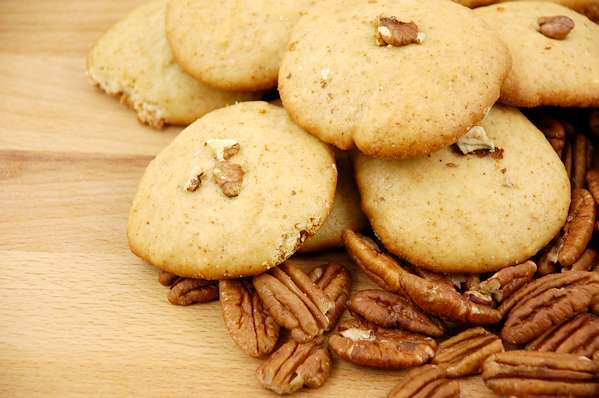 For the excellent tea-time treats use the cinnamon-sugar topping or decorator icing.